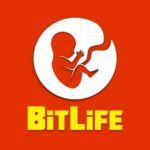 We are already used to seeing the developers of BitLife constantly adding new activities and challenges. And the Cat Lady Ribbon is their latest addition. If you don’t know exactly what a ribbon is, then you should know that it is a one-word description that practically summarises your entire BitLife. If you are up for the challenge and want to add the Cat Lady ribbon to your collection, then keep reading to learn how to obtain it. The first condition to get this ribbon is to start your Bitlife as a female. The second condition, as suggested by the title itself, is to have cats. Lots of them! 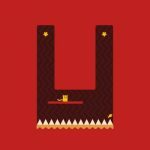 Bitizens should try to have as many cats as they possibly can. Just keep in mind that your property’s size will limit the number of cats you can get at a time. Those of you who are not Bitizens can only have 3 cats at a time. Which is sufficient to get the ribbon. And that means no family or love relationships. Avoid dating, having kids, or one-night stands. And make sure not to talk or maintain any type of relationship with your parents and siblings. You should dedicate all your love and attention to your cats! Emotional attachment to other people can be a dangerous move. Your goal is simple: maintain green bars with all your cats. Try to take care of them and keep them alive for as long as possible. If a cat dies, make sure to replace it as soon as possible. Don’t get other pets. Just cats! And make sure to keep them always happy for as long as you live. Make sure no one attends your funeral. You have dedicated your entire life to cats, so make sure not to spoil it at the end. Hope you will find this BitLife guide useful and you will manage to obtain the much-coveted Cat Lady ribbon! If you are aware of other useful tips, don’t hesitate to share them with us in the comment area!